Have you noticed how much the locksmith industry in Pearland TX has changed over the last 25 years? The locksmith industry in Pearland keeps changing. What are you doing to keep up? With so many changes it is always so fascinating with what will come next. Pearland locksmiths can be defined as those who change locks when needed or cut keys, this oversimplified definition means that we often underestimate their value and skills. Technology has encroached in to almost every aspect of life. Locksmiths in Pearland have had to evolve with the changing landscape, or else face the consequences of being deemed obsolete. Many locksmith businesses in Pearland Texas have had to weather radical changes just to remain financially viable. This doesn’t mean that the business is slowing down, just merely changing to account for our modern technological needs. 25 years ago, if you accidentally locked your keys inside your car, your first line of action would be to simply jimmy the lock open with a handy tool. These days the complicated electronic key system makes it near impossible. Here we take a look at the various technologies which have changed the ways in which locksmiths operate. Locksmiths must keep their methods updated to match the ever-growing need for full proof security whether it be car, home or business related. The standard lock and key has now been replaced with different versions of digital locks. Such locks are used in companies or organisations to gain access to areas with just a specific code. A counterpart to this type of lock is one where both a key card or code maybe required to open the door. The high-end eversion of digital locks arefingerprint locks which allow only designated persons to enter restricted areas, thus maximising security. Another form of lock growing in popularity is the smart lock. As you may ascertain from the name it involves using your smartphone to gain access to certain places for example your home or even car. Keyless locks allow one to gain access to areas such as garages or even the cars themselves without the mechanical fuss related to the traditional lock and key. They are generally designed for security but more to save time. 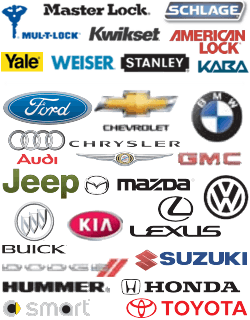 Vehicle manufactures sell their key programs only to licenced locksmiths in Pearland in a limited number. And are only allowed to make a copy of the key once sufficient documentation has been produced by the owner. It’s a far cry from 25 years ago when the locksmith would be required to manually cut a copy of the lost key. Another area of great change in the locksmith business in Pearland TX is availability. Just a few years ago one would be wont to find a locksmith available in your area after hours. The internet has made thousands of locksmith’s names available at your fingertips along with their contact details and place of work, meaning you won’t have to wait till morning in case of any lock emergency. For the technologically savvy Pearland locksmith the truth is that business is booming. Whereas mechanical locks merely needed an oil change every so often, these digital locks require constant maintenance and are prone to glitches. Locksmiths in the Pearland Texas area must evolve to learn how to maintain, repair and even install such systems.